QPR star man claims AC Milan talks | The Transfer Tavern | Where football transfer rumours fly or die! 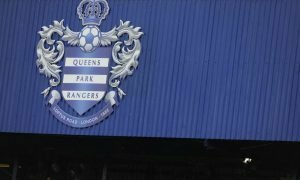 Even at Christmas, we at the Football Transfer Tavern don’t stop speculating and one rumour that has made us mighty glad of this fact surrounds a story from Goal.com who claim that AC Milan could well be after QPR’s star man Adel Taarabt. The player claims that his agent is in talks with Adriano Galliani – president of the Italian giants and a move could well take place this January. Taarabt of course has copious amounts of talent but questions remain over the Moroccan’s commitment to current employers QPR, especially given the dire state the club are currently in. The mercurial player claims: “My agent is in talks with Galliani, but it depends on what happens with Robinho and [reported AC Milan target Javier] Pastore.” Given the scathing assessment from Harry Redknapp regarding his players this week, it remains to be seen if the manager would want a player who is not fully committed to the cause and would be open to a move elsewhere – even if it means losing one of their most talented players. Do you think QPR should let Taarabt leave? Vote in our polls below.